May evenings in Florida have a soft feeling about them. It isn’t too hot by nightfall and there is often a slight breeze. It’s just a matter of time before we move into the season of heat, humidity and mosquitoes – that dense and sticky feeling that comes with the summer. 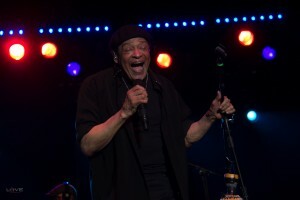 For now, though, it is Memorial Day weekend, the Jacksonville Jazz Festival is in full swing and Al Jarreau is headlining the second day of the three day event. Guitarist John Calderon photographed this view from their side of the stage. 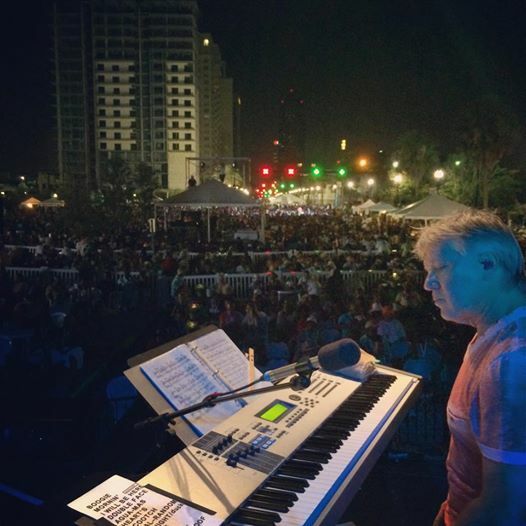 Keyboardist Larry Williams ready to play! A lot of us got there early. 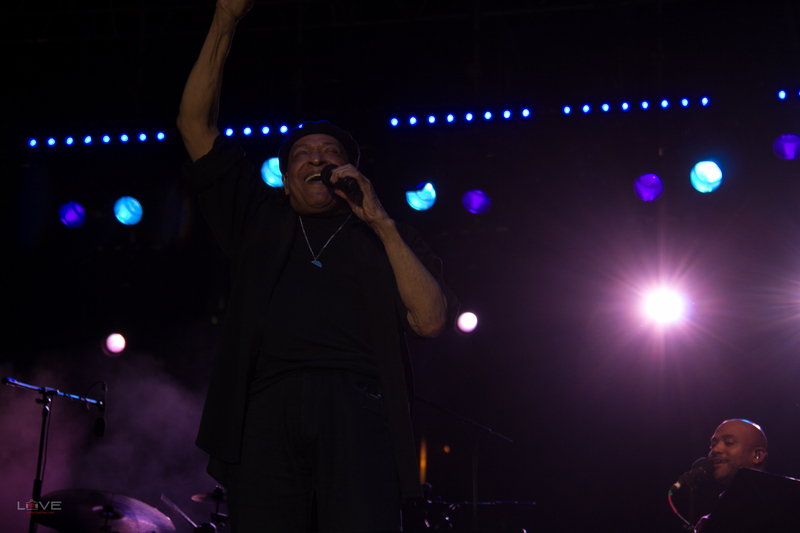 Yeah, we wanted to hear the rest of the lineup that day but we also knew that Jarreau would draw a huge crowd and the best way to get close to the stage was to get there early and stake out a place. The sun and heat can drain you, sunscreen and big cups of lemonade notwithstanding. As the evening progressed people were getting tired and fortunately more mellow than rowdy after frequent visits to the adult beverage vendors. Then the lights dimmed, five musicians took their places. There were a few quiet moments as an open field full of people that went back several blocks stopped and took a collective breath. We were about to have that breath taken away. 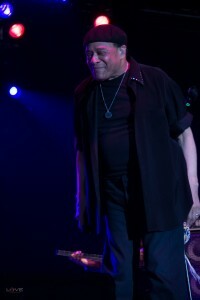 The band started playing, Al Jarreau hit the stage to the opening notes of “Boogie Down.” It was ON! This is how it works. Five seasoned and stunning musicians who have been playing together for years and are so in tune with each other that these complex arrangements flow effortlessly. In front, a vocalist who walks the tightrope between the precision of professionalism and edgy spur of the moment improvisation better than anyone. He is inside the music, he is the music. The band is in there with him and the joy of it all is contagious. Front row or out in the field there is no way not to feel it. has even cynical alt-rockers dropping their jaws. Yeah, grown folks do that stuff! And so it goes, an evening of complete immersion in a this beautiful wall of sound where voices sound like instruments and instruments sound like voices and the joy of it all is so contagious you take it home, take it to work, and end up spreading your own Random Acts of Love in the afterglow. 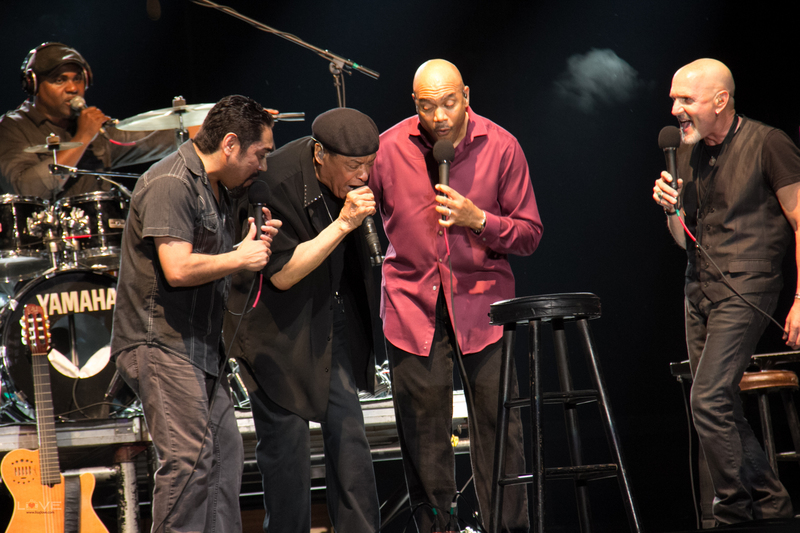 They wrapped up the night with a rousing get outta your seats mashup of “Roof Garden” and George Duke’s “Reach for It.” It started with a party, it ended with a party. It’s a deep party and it’s a party that’s gonna make you think a lil’ bit ’bout stuff and open your mind about how inclusive and accessible this thing called “jazz” really is. The bottom line is that its always a party when you go to see Jarreau. It’s the kind of party that leaves you feeling really good and really special, and that’s the kind of party we need more of. 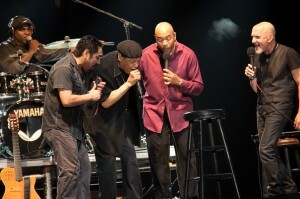 Check out Al (along with Hubert Laws & Dee Dee Bridgewater) on this new recording for kids and family!! !